Blakely chose to be Amelia Earhart on History Day. 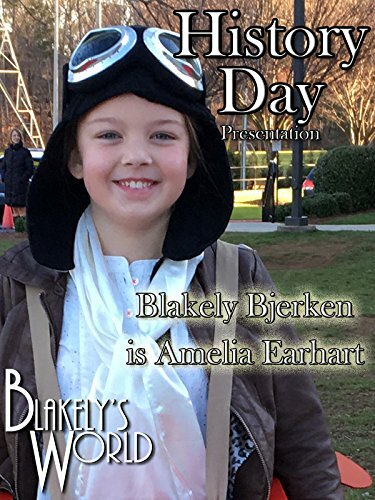 Here Blakely's costume is spot on as she assumes the identity of the daring aviation pioneer! Blakely even wore an airplane! The presentation was excellent! Blakely learned a lot about history and had tons of fun on History Day!